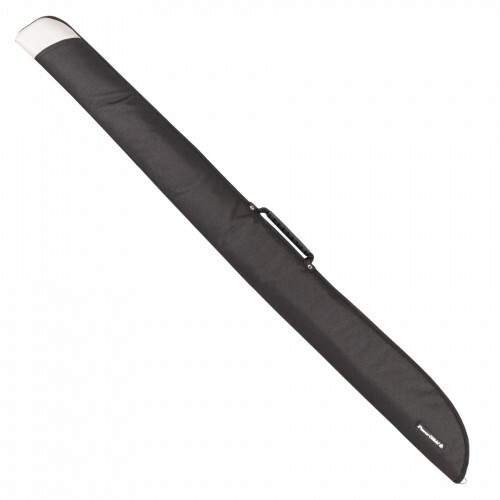 Aluminium cue case with foam padded lining. Suitable for 57" 50/50 split snooker or pool cue. A cue case suitable for both snooker and pool cues. Black attache style 3 piece cue case with padded protective lining. Will hold either a 6" & a 29" extension. A 2 piece cue case suitable for both snooker and pool cues. Soft 3-Piece case with padded and silver edge trim. Deluxe tubular hard case with heavily padded interior protection. A budget slim cue case suitable for a 57" 50/50 split Snooker or Pool cue.